Dizin resort has numerous relaxing accommodation facilities such as hotel, villa, private apartment local home, cottage, chalet and restaurant, it accommodate many people every year, enjoy your stay at this excellent place. 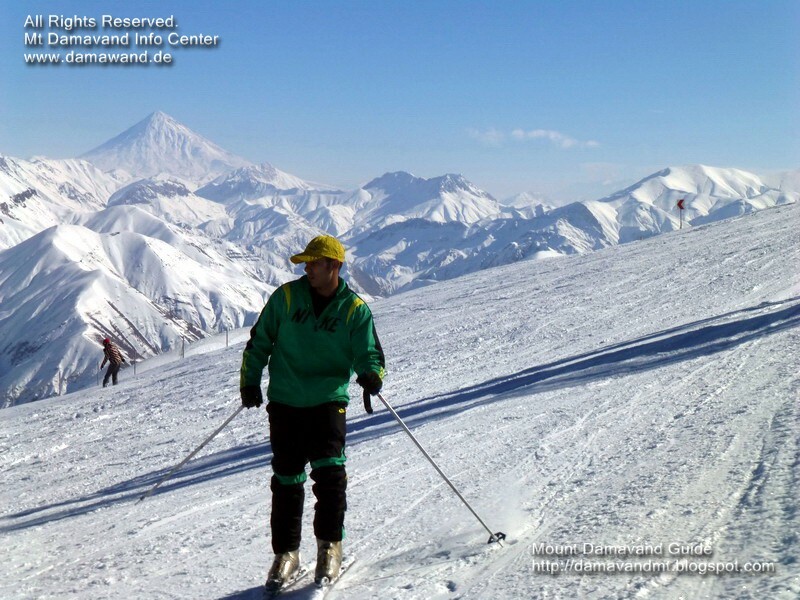 Ski mountaineering and snowboarding tour Damavand Mountain. Adventure hiking & trekking, mountaineerin and climbing tour organizer Iran. Mountaineering and Ski Federation resorts. 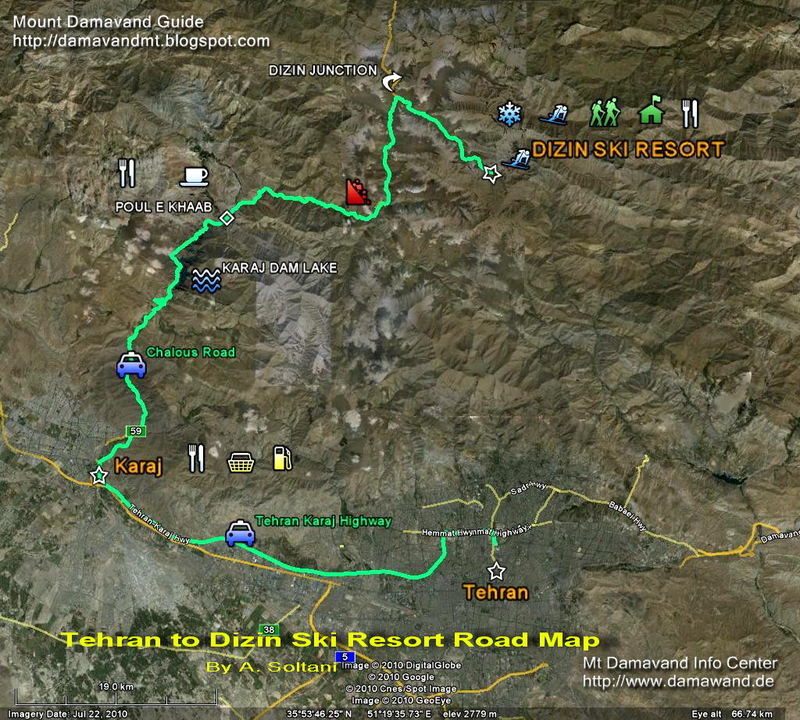 Dizin Tehran ski and snowboard tour. Dizin is the largest and the most famous ski piste and winter sport centre in Iran. It is situated in NW of Tehran in Alborz Mountain Range. Although Dizin Ski Resort is not so near to Damavand, but it is a suitanle place for parctice before attempting Damavand Ski Mountaineering. Disin is also the main grass-ski centre for summer sport activities. This resort is administered by Ski Federation of Iran. The sport activity in Dizin is not limited to winter, it is also possible to ski on grass on the same piste in the summer. In fact Disin is the main grass-ski centre of Iran. The first int grass skiing competition was held at Dizin Complex In 1996 by the Int Ski Federation FIS. Visit also Dizin Weather Forecast. Beginner who need ski or snowboard training may take part in classes to learn step by step training courses and lessons from qualified trainers and can work with a coach next to the pist. Due to its popularity, the resort is crowded in the Iranian weekends (Thursdays and Fridays), if possible avoid the weekends, otherwise you may spend more of your time in telecabins queues rather than skiing on the piste. It is possible to rent any equipment and skiwear around the area, such as ski and snowboard, monoboard and cross country skis and accessories. Ski, snowboard, grass ski, hikking trekking, winter sports, grass ski. This resort can offer a variety of sports activities to enjoy your vcation and experience interesting aspect of Iranians lifestyle. - mountaineering, climbing and walking altitudes and heights. - mountain cycling in different route and tracks. - caoching and training classes. - children park and slope for grass ski in summer. Tehran to Dizin Road Map, GPS Track & Waypoints. Useful for Ski, Grass Ski, Snowboard and Mountaineering. Dizin Ski Resort Map in JPG Format: Download. Print friendly Google Earth Road Map. GPS Track in GPX Format: Download. Useful for most handheld GPS receivers. GPS Track in KMZ Format: Download. It has various pists of different grades and you may ski in different styles during the same day. There is also a beginner’s piste for newcomers. Skiing in Dizin area is good for the less experienced skier; about 50% of runs are suitable for beginners, 40% for intermediate and 10% for advanced skiers.The air condition is drier than at European standard, making some good powder. Many snowboarders can be seen on the slopes. With about 2 to 3 hours of driving away from Tehran many people prefer not to stay there overnight. Cheap tickets by European standards. Dizin resort is far more relaxed than the rest of Iran. One of the 40 highest resorts in the world. The only access to the resort is by road. You may reach the area by two differnt road, the first one is longer but a safer way. 1- Tehran> (Resalat Highway, Mosala Metro Station)> Tehran-Karaj Highway> Chalous Road> Dizin junction> Dizin Resort. 2- Tehran> (Resalat Highway Baqeri Junction)> Tehranpars 4th Sq.> Gardaneh Ghochak> Lavasanat> Oshoun Fasham Road> Shemshak City> Dizin Resort. The easiest way to reach Dizin is to fly to IKA airport Tehran Iran, then proceed to the resort by coach or car. The nearest international airport to Dizin resort is IKA airport at Tehran. Flights arrive here from many major European cities and other destinations neighbouring Persian gulf. The nearest train station to Dizin resort is at Tehran. (Tehran, Resalat Highway, Mosala Metro Station). - Dizin is only accessible by road, after a heavy snowfall, snow chains are necessary for cars. - The road between Shemshak and Dizin which is about 12 km long, may be closed in winter after a heavt snow due to avalanch risk. - In bad weather and stormy condition, bad visibility or darkness, it is not safe to ski without a reliable navigation unit like a handheld GPS receiver. Dizin Skitouren und snowboar Tour. Damavand Klettern Reiseveranstalter. Dizin Ski- und snowboar Expeditionstouren . Transport von Teheran IKA International Airport zu Dizin Skipiste. Abenteuer Wandern & Trekking, Bergsteigen. Bergsteigen und Ski-Verband Resorts. Transport von Teheran IKA International Airport zu dizin Resort. 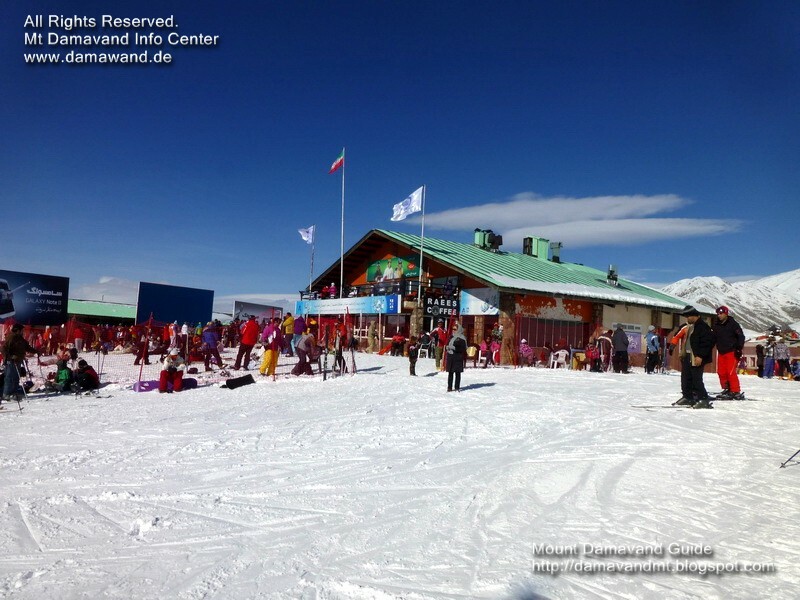 Iran Skiverband Resort und Pisten. Wintersportzentren für auf Pisten und Tiefschneefahren. Alpine Ski-und Wild Skitour auf Damawand Berg im Iran. Dizin ski touring and snowboar tour. Mount Damavand climbing tour organizer. Dizin ski and snowboar expedition tours. Transport from Tehran IKA International Airport to dizin ski piste. Adventure hiking & trekking, mountaineering. Mountaineering and Ski Federation resorts. Transport from Tehran IKA International Airport to dizin resort. Iran Ski Federation resort and pistes. Winter sport centres for on piste and off piste skiing. Alpine ski and wild ski tour to Damawand Mountain in Iran. Esquí de travesía Dizin y visita snowboar. Monte Damavand escalada gira organizador. Dizin esquí y excursiones expedición snowboar. El transporte desde el aeropuerto internacional de Teherán IKA a Dizin pista de esquí. Aventura senderismo y trekking, montañismo. Estaciones de alpinismo y de la Federación de Esquí. El transporte desde el aeropuerto internacional de Teherán IKA al resort Dizin. Resort y pistas Irán Federación de Esquí. Deporte de invierno en centros para pista y esquí fuera de pista. Esquí alpino y esquí recorrido salvaje a Damawand Montaña en Irán. Dizin ski de randonnée et la visite de snowboar. Mont Damavand escalade organisateur de voyages. Dizin ski et des visites de l'expédition snowboar. Transport de l'aéroport international de Téhéran IKA à Dizin piste de ski. Aventure Randonnée pédestre, l'alpinisme. Stations de ski alpinisme et de la Fédération. Transport de l'aéroport international de Téhéran IKA à Dizin station. Fédération de ski Iran station et des pistes. Centres sports d'hiver pour le piste et hors piste. Ski alpin et de ski de randonnée sauvage Damawand Montagne en Iran. Sci alpinismo Dizin e giro snowboar. Mount Damavand arrampicata tour operator. Dizin sci e gite spedizione snowboar. Trasporto da Tehran IKA International Airport di Dizin pista da sci. Avventura trekking e trekking, alpinismo. Resort Alpinismo e Federazione sci. Trasporto da Tehran IKA International Airport di resort Dizin. Resort Iran Federazione sci e piste. Centri sportivi invernali per su pista e fuori pista. Sci alpino e scialpinismo selvaggia a Damawand Mountain in Iran. Dizin skiturer og snowboar tur. Mount Damavand klatring tur arrangør. Dizin ski og snowboar ekspedisjonsturer. Transport fra Teheran IKA International Airport til Dizin skiløypa. Eventyr fotturer og trekking, fjellklatring. Skianlegg fjellklatring og skiforbundet. Transport fra Teheran IKA International Airport til Dizin resort. Iran skiforbundet resort og løyper. Vintersport sentre for på piste og off piste. Alpine ski og vill skitur til Damawand Mountain i Iran. Dizin лыжного туризма и snowboar тур. Демавенд восхождение туристам организатор. Dizin лыж и snowboar экспедиции туры. Транспорт из Тегерана международного аэропорта IKA, чтобы dizin лыжных трасс. Приключения походы и экскурсии, альпинизм. Альпинизм и федерации лыжного курорта. Транспорт из Тегерана международного аэропорта IKA, чтобы dizin курорта. Курорт Иран федерация лыжного спорта и трассы. Зимние виды спорта центры на трассе и вне трасс катания на лыжах. Горнолыжного спорта и дикой лыжный тур в Damawand горы в Иране. Dizin lyzhnogo turizma i snowboar tur . Demavend voskhozhdeniye turistam organizator. Dizin lyzh i snowboar ekspeditsii tury . Transport iz Tegerana mezhdunarodnogo aeroporta IKA , chtoby dizin lyzhnykh trass . Priklyucheniya pokhody i ekskursii , al'pinizm . Al'pinizm i federatsii lyzhnogo kurorta . Transport iz Tegerana mezhdunarodnogo aeroporta IKA , chtoby dizin kurorta. Kurort Iran federatsiya lyzhnogo sporta i trassy . Zimniye vidy sporta tsentry na trasse i vne trass kataniya na lyzhakh. Gornolyzhnogo sporta i dikoy lyzhnyy tur v Damawand gory v Irane.